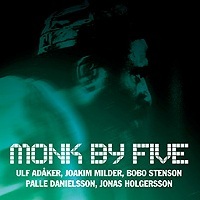 Description: On this CD you can enjoy five most prominent Swedish musicians performing music composed by Thelonious Monk - one of jazz history's most original pianists and composers. If they have taken any liberties with Monk's music it is more in relation to forms for improvisation over his themes rather than with the original versions of the compositions themselves. "Here is someting rather special: a fresh-sounding selection of prime Monk compositions interpreted with both sensitive care and no little flair by some of Sweden's finest contemporary players... There have been a good many Monk tributes already: this must rank as one of the most enjoyable."